Run and download all of your reports IN ONE place! Manage, run and save ALL of your needed reports straight away in your realtime report system! 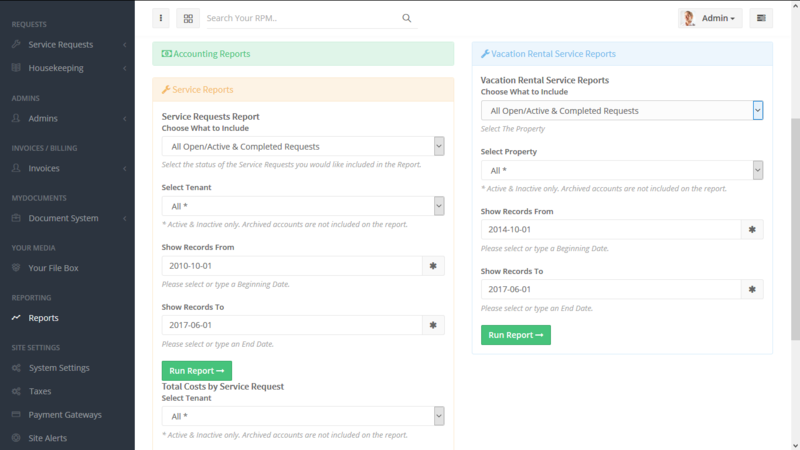 With RPM Pro you have multiple options to include or exclude certain information such as active or inactive accounts, open/ closed requests, accounting and cost reports and more! It's so simple, choose your topic and info in the drop down boxes, the dates and hit the RUN button. 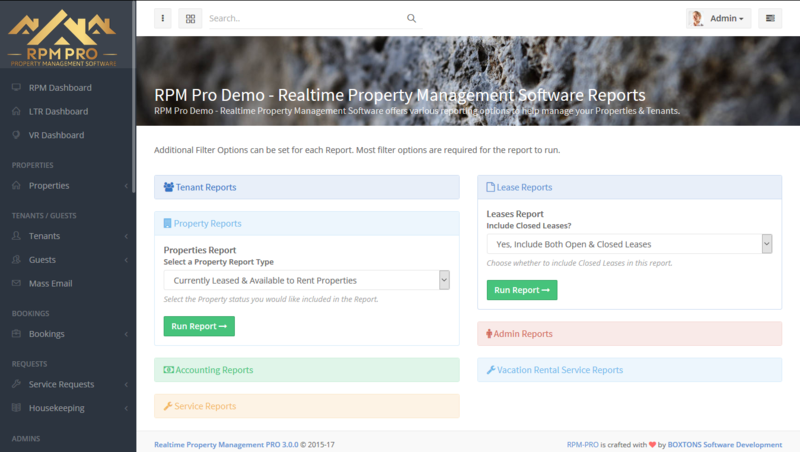 With RPM Pro Report system you have seven main categories to choose from. 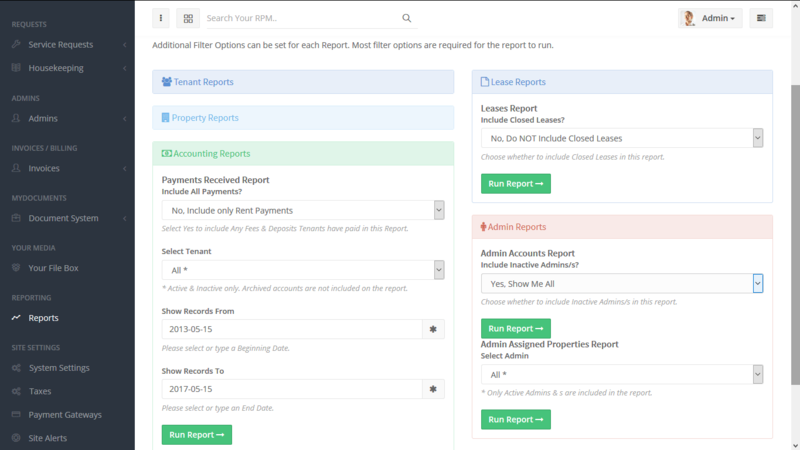 You have all of your properties (LTR and VR), tenants and lease reports, Admin Reports, Accounting, LTR and VR service request and Service cost reporting. This report system has everything you need with easy and secure access and you office paperless! RPM Pro offers you the chance for your business to get fully online and reduce your paper usage to near to nothing! With the report system you can run and manage all of your reports online and you'll always have easy access! You can easily save your reports by using your normal browser and upload it to each property or user account as well as your file box if you wish for other users to be able to reach the report. Monitoring your service requests and costs are just as important as any other reports, we have therefore made sure that you can track all of your service costs per tenant and run LTR & VR service reports all on customized dates! Including the above AND MANY MORE amazing features starting at just $50 monthly or get 2 months FOR FREE with yearly!